Established in 1842, the firm of Peter Carl Fabergé became the official goldsmith to the Russian Imperial Court. Best known for creating the lavishly ornate and intricately devised Imperial Easter Eggs, given by the last Tsars to their families as annual holiday gifts, the House of Fabergé was the most prestigious manufacturer of luxury goods in Russia in the late 19th and early 20th centuries. 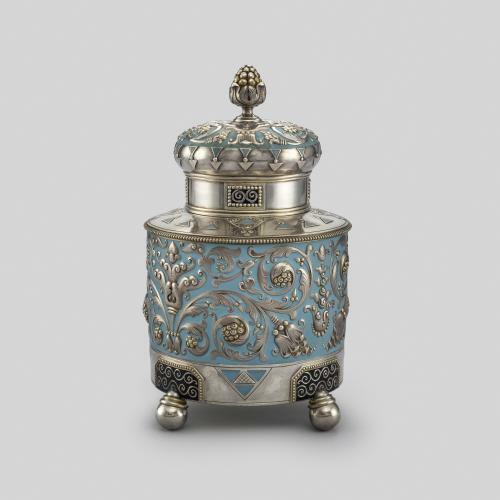 This Fabergé tea caddy embodies the art nouveau style, or “Stil Moderne” as it was known in Russia, which became fashionable from 1900 to the revolution of 1917. 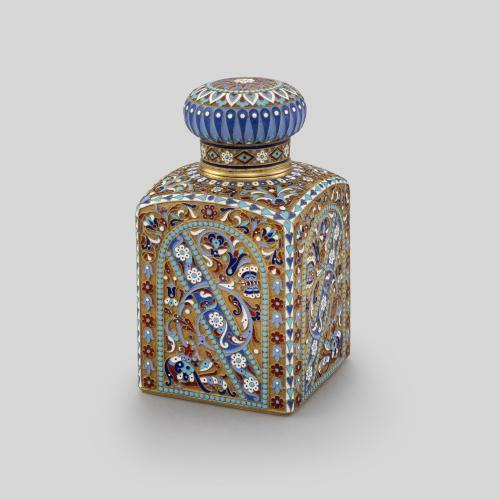 The matte enamel ground with raised silver decoration on this tea caddy was a particular specialty of the Moscow workshop. 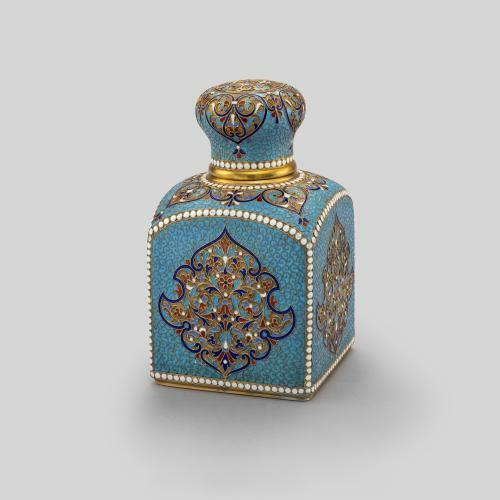 Due to the decrease in the price of tea during the 19th century, tea containers grew in size, although this example is much larger than most produced in Russia during this period.